For twenty-two years there was peace between Rome and Carthage. It was peace without prosperity. Both combatants were suffering from the want and disorganization that follow naturally and necessarily upon all great wars. The territories of Carthage seethed with violent disorder; the returning soldiers could not get their pay, and mutinied and looted; the land went uncultivated. We read of horrible cruelties in the suppression of these troubles by Hamilcar, the Carthaginian general; of men being crucified by the thousand. Sardinia and Corsica revolted. The «peace of Italy» was scarcely happier. The Gauls rose and marched south; they were defeated, and 40,000 of them killed at Telamon. It is manifest that Italy was incomplete until it reached the Alps. Roman colonies were planted in the valley of the Po, and the great northward artery, the Via Flaminia, was begun. But it shows the moral and intellectual degradation of this post-war period that when the Gauls were threatening Rome, human sacrifices were proposed and carried out. The old Carthaginian sea law was broken up-it may have been selfish and monopolistic, but it was at least orderly the Adriatic swarmed with Illyrian pirates, and as the result of a quarrel arising out of this state of affairs, Illyria, after two wars, had to be annexed as a second «province». By sending expeditions to annex Sardinia and Corsica, which were Carthaginian provinces in revolt, the Romans prepared the way for the Second Punic War. The First Punic War had tested and demonstrated the relative strength of Rome and Carthage. With a little more wisdom on either side, with a little more magnanimity on the part of Rome, there need never have been a renewal of the struggle. But Rome was an ungracious conqueror. She seized Corsica and Sardinia on no just grounds, she increased the indemnity by 1,200 talents, she set a limit, the Ebro, to Carthaginian developments in Spain. There was a strong party in Carthage, led by Hanno, for the propitiation of Rome; but it was natural that many Carthaginians should come to regard their national adversary with a despairing hatred. Hatred is one of the passions that can master a life, and there is a type of temperament very prone to it, ready to see life in terms of vindictive melodrama, ready to find stimulus and satisfaction in frightful demonstrations of «justice» and revenge. The fears and jealousies of the squatting-place and the cave still bear their dark blossoms in our lives; we are not four hundred generations yet from the old Stone Age. Great wars, as all Europe knows, give this «hating» temperament the utmost scope, and the greed and pride and cruelty that the First Punic War had released were now producing a rich crop of anti-foreign monomania. 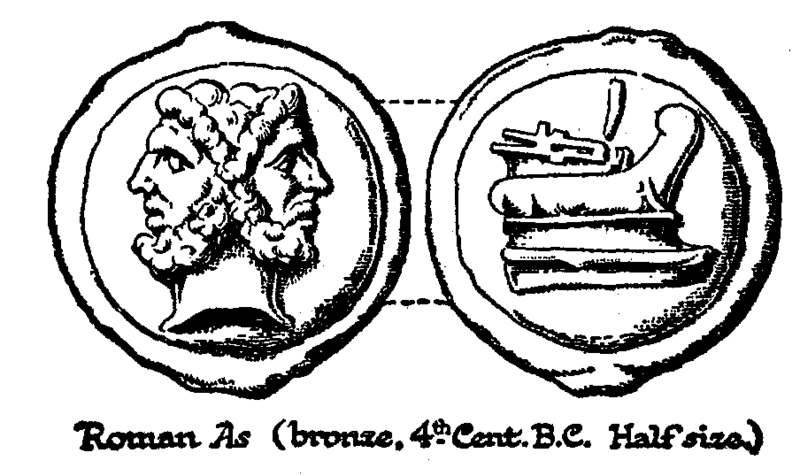 The outstanding figure upon the Aide of Carthage was a great general and administrator, Hamilcar Barca, who now set himself to circumvent and shatter Rome. He was the father-in-law of Hasdrubal and the father of a boy Hannibal, destined to be the most dreaded enemy that ever seared the Roman Senate. The most obvious course before Carthage was the reconstruction of its fleet and naval administration, and the recovery of sea power, but this, it would seem, Hamilcar could not effect. As an alternative he resolved to organize Spain as the base of a land attack upon Italy. He went to Spain as governor in 236 B.C., and Hannibal related afterwards that his father then-he was a boy of eleven made him vow deathless hostility to the Roman power. This quasi-insane concentration of the gifts and lives of the Barca family upon revenge is but one instance of the narrowing and embitterment of life that the stresses and universal sense of insecurity of this great struggle produced in the minds of men. A quarter of a century of war had left the whole western world miserable and harsh. While the eleven-year-old Hannibal was taking his vow of undying hatred, there was running about a farmhouse of Tusculum a small but probably very disagreeable child of two named Marcus Porcius Cato. This boy, lived to be eighty-five years old, and his ruling passion seems to have been hatred for any human happiness but his own. He was a good soldier, and had a successful political career. He held a command in Spain, and distinguished himself by his cruelties. He posed as a champion of religion and public morality and under this convenient cloak carried on a lifelong war against everything that was young, gracious, or pleasant. Whoever roused his jealousy incurred his moral disapproval. He was energetic in the support and administration of all laws against dress, against the personal adornment of women, against entertainments and free discussion. He was so fortunate as to be made censor, which gave him great power over the private lives of public people. He was thus able to ruin public opponents through private scandals. He expelled Manlius from the Senate for giving his wife a kiss in the daytime in the sight of their daughter. He persecuted Greek literature, about which, until late in life, he was totally ignorant. Then He read and admired Demosthenes. He wrote in Latin upon agriculture and the ancient and lost virtues of Rome. From these writings much light is thrown upon his qualities. One of his maxims was that when a slave was not sleeping he should be working. Another was that old oxen and slaves should be sold off. He left the war horse that had carried him through his Spanish campaigns behind him when he returned to Italy in order to save freight. He hated other people’s gardens, and cut off the supply of water for garden use in Rome. After entertaining company, when dinner was over he would go out to correct any negligence in the service with a leather thong. He admired his own virtues very greatly, and insisted upon them in his writings. There was a battle at Thermopylae against Antiochus the Great, of which he wrote, «those who saw him charging the enemy, routing and pursuing them, declared that Cato owed less to the people of Rome than the people of Rome owed to Cato». In his old age Cato became lascivious and misconducted himself with a woman slave. Finally, when his son protested against this disorder of their joint household, he married a young wife, the daughter of his secretary, who was not in a position to refuse his offer. (What became of the woman slave is not told. Probably he sold her.) This compendium of all the old Roman virtues died at an advanced age, respected and feared. Almost his last public act was to urge on the Third Punic War and the final destruction of Carthage. He had gone to Carthage as a commissioner to settle certain differences between Carthage and Numidia, and he had been shocked and horrified to find some evidences of prosperity and even of happiness in that country. From the time of that visit onward. Cato concluded every speech he made in the Senate by croaking out «Delenda est Carthago» («Carthage must be destroyed»). Such was the type of man that rose to prominence in Rome during the Punic struggle, such was the protagonist of Hannibal and the Carthaginian revanche, and by him and by Hannibal we may judge the tone and quality of the age. The two great western powers, and Rome perhaps more than Carthage, were strained mentally and morally by the stresses of the First War. The evil side of life was uppermost. The history of the Second and Third Punic Wars (219 to 201 and 149 to 146 B.C. ), it is plain, is not the history of perfectly sane peoples. It is nonsense for historians to write of the «political instincts» of the Romans or Carthaginians. Quite other instincts were loose. The red eyes of the ancestral ape had come back into the world. It was a time when reasonable men were howled down or murdered; the true spirit of the age is shown in the eager examination for signs and portents of the still quivering livers of those human victims who were sacrificed in Rome during the panic before the battle of Telamon. The western world was indeed black with homicidal monomania, Two great peoples, both very necessary to the world’s development, fell foul of one another, and at last Rome succeeded in murdering Carthage. Plutarch, Life of Cato .